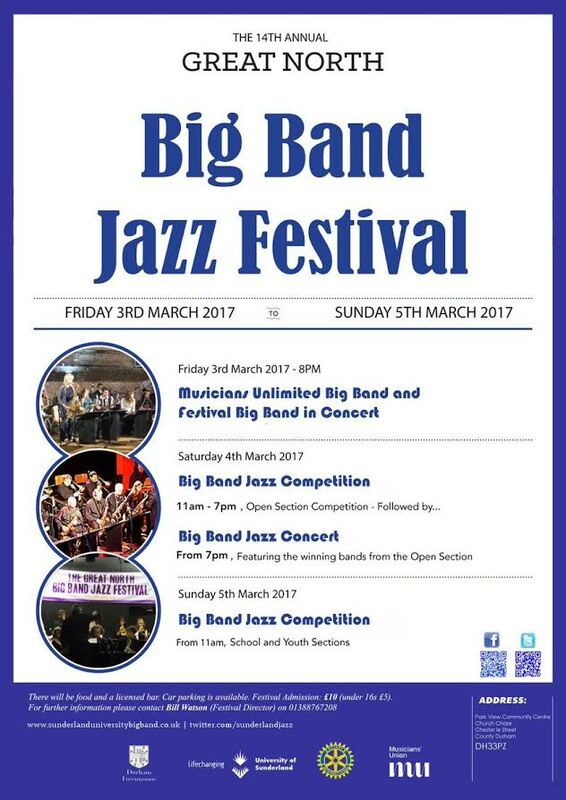 A Friday evening double bill features the Hartlepool-based Musicians Unlimited Big Band (directed by Mick Donnelly) and a hand-picked Festival Big Band starting at 8:00pm. On Saturday, and again on Sunday, the competitive action begins at 11:00am. Saturday is devoted to senior bands – some travelling hundreds of miles to take part – vying to win the Open Section. An evening concert (7:00) will feature the prize winners. Sunday’s programme features countless bands competing in School and Youth sections (some young musicians will similarly make long distance journeys to take part). Food and drink will be available. £10.00 admission permits access to all three days of this, the 14th annual Great North Big Band Jazz Festival. Under 16s gain entry for a fiver.